Spearheaded by Javad Nazarian, Ph.D., MSC, Scientific Director of the Children’s National Brain Tumor Institute, the focused DIPG Round Table Discussion brought investigators, neurosurgeons and clinicians from North America, Europe and Australia to Children’s National in Washington, D.C.
Over 40 experts involved in the study and treatment of diffuse intrinsic pontine gliomas (DIPG) convened at the inaugural DIPG Round Table Discussion at Children’s National Health System Sept. 30-Oct. 2. Spearheaded by Javad Nazarian, Ph.D., MSC, Scientific Director of the Children’s National Brain Tumor Institute, the focused DIPG Round Table Discussion brought investigators, neurosurgeons and clinicians from North America, Europe and Australia to Children’s National in Washington, D.C., to engage in dialogue and learn about the changing landscape of DIPG tumor biology and therapeutics. Attendees discussed the recent discoveries in DIPG research, precision medicine, preclinical modeling, immunotherapy, data sharing and the design of next generation clinical trials. Families affected by DIPG also had an opportunity to participate in day 2 of the event. Many voiced the necessity of data sharing to ensure progress in the field. Dr. Nazarian seconded that point of view: “It is critical to get raw data and have it harmonized and integrated so that the end users (researchers) can utilize and do cross-data analysis…We need to break down the silos.” The highlight of the data sharing session was the Open DIPG Initiative that is spearheaded by Dr. Nazarian and the Children’s Brian Tumor Tissue Consortium (CBTTC). 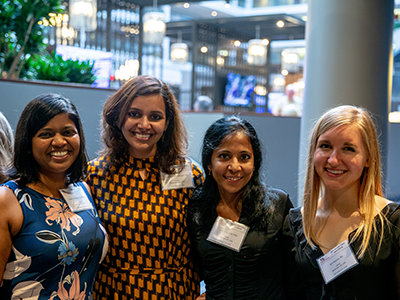 Eshini Panditharatna, Ph.D., Madhuri Kambhampati, Sridevi Yadavilli, M.D., Ph.D., and Erin Bonner of Children’s National at the DIPG Round Table. As recent technological and molecular advances in DIPG biology have pushed the field forward, focus groups have become essential to share data, ideas and resources with the overarching goal of expediting effective treatments for children diagnosed with DIPG. An extremely aggressive form of pediatric brain cancer, DIPG accounts for roughly 10 to 15 percent of all brain tumors in children. Between 300 and 400 children in the United States are diagnosed with DIPG each year, but the 5-year survival for the brain tumor is less than 5 percent, a strikingly low number in comparison with other types of childhood cancer. DIPG research and clinical initiatives have changed in the past years mainly due to the generous support of families for basic research. The DIPG Open Table meeting was designed to coalesce a team of experts to expedite the first crack at curing this devastating childhood cancer. 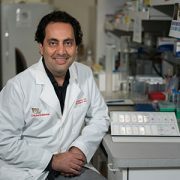 Javad Nazarian, Ph.D., MSC, has played an important role in establishing the Open DIPG Initiative. 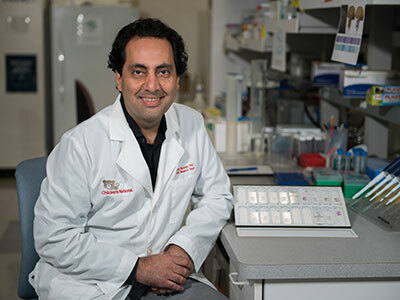 He hopes that the Open DIPG Initiative will serve as a model for centralized disease-specific efforts that will bring research findings one step closer to clinical translation. A collaborative team of doctors and researchers at Children’s National Health System today announced the launch of the Open DIPG Initiative through the Children’s Brain Tumor Tissue Consortium (CBTTC). The primary goals for the project will be to generate DIPG Omics which will help decipher major molecular characteristics of diffuse intrinsic pontine glioma (DIPG). Specifically, these will include genomics, proteomics, transcriptomics and epigenomics for primary analyses, centralize all DIPG Omics for secondary analyses, integrate the new DIPG data and unify DIPG expertise (data scientists, researchers, new talent, etc.) to analyze the DIPG genomic data. 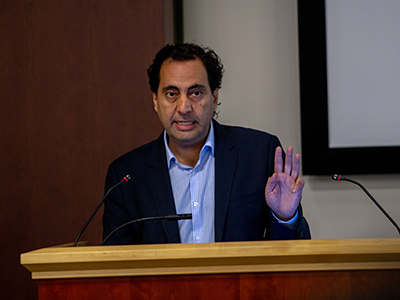 CBTTC Scientific Co-Chairs Javad Nazarian, Ph.D., MSC, principal investigator, and Adam Resnick, Ph.D., have played important roles in establishing the Open DIPG Initiative. They hope that the Open DIPG Initiative will serve as a model for centralized disease-specific efforts that will bring research findings one step closer to clinical translation. Pediatric brain tumors are the leading cause of disease-related death in children. Unlike many adult cancers, the causes of pediatric brain tumors remain largely unknown, and common therapies have remained mostly unchanged over the last four decades. To address these challenges, clinicians and researchers have embraced the emergence of sequencing technologies and deep molecular characterization of tumors to define novel, targeted approaches and individualized therapies. However, harnessing such data-driven approaches has been a challenge due to limited accessibility to datasets and shared discovery platforms that can empower large-scale integration of datasets for worldwide access and cross-disease analyses. As a part of this initiative, the Open DIPG Initiative has collected, generated and annotated the largest cohort of DIPG genome data to date. Specifically, these datasets contain more than 1,000 genomes associated with pediatric high-grade gliomas, with over 500 DIPG cases. 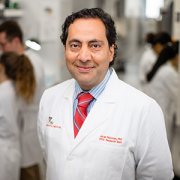 The Open DIPG has been a part of a larger effort known as the Pediatric Brain Tumor Atlas, which aims to uncover the molecular basis of childhood cancers. Committed to accelerated discovery, the CBTTC is partnering with the Kids First Data Resource Center (DRC) and the newly developed Kids First Data Resource Portal, which was also launched today. 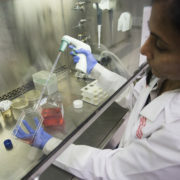 “The combination of consortia-based initiatives, partnerships with foundations and new discovery platforms being announced today, with the support of the National Institutes of Health (NIH), provides for entirely new and transformative ways of doing science on behalf of children with brain tumors,” said Adam Resnick, Ph.D., principal investigator of the Kids First DRC. The Open DIPG initiative will be launched as a part of the Pediatric Brain Tumor Atlas and has been funded by families as well as the NIH Gabriella Miller Kids First Act fund. The fund was launched in 2015 and named after Gabriella Miller, a former patient at Children’s National who lost her life to DIPG. Mutations in histone-encoding genes are associated with the vast majority of pediatric DIPG cases. For more than four decades, clinicians around the nation have been giving the parents of pediatric patients diagnosed with diffuse intrinsic pontine glioma (DIPG) the same grim prognosis. In the past five years, there has been an explosion of innovative research at Children’s National Health System and elsewhere that promises to change that narrative. That’s because the black box that is DIPG is beginning to divulge its genetic secrets. 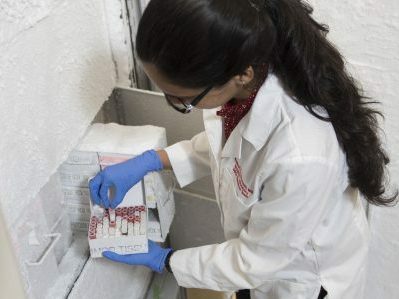 The new-found research knowledge comes as a direct result of parents donating specimens, judicious shepherding of these scarce resources by researchers, development of pre-clinical models, and financing from small foundations. 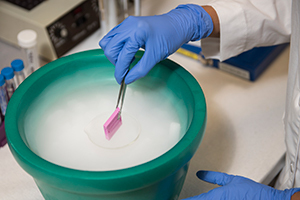 From just 12 samples six years ago, Children’s National has amassed one of the nation’s largest tumor bio banks – 3,000 specimens donated by more than 900 patients with all types of pediatric brain tumors, including DIPG. Such donated specimens have led to the identification of H3K27M mutations, a groundbreaking finding that has been described as the single-most important discovery in DIPG. Mutations in histone-encoding genes are associated with the vast majority of pediatric DIPG cases. Another study led by neuro-oncologist Eugene Hwang, M.D., reported the most comprehensive phenotypic analyses comparing multiple sites in a young girl’s primary and metastatic tumors. This study showed that despite being uniform, small molecules (mRNA) could be used to distinguish an evolved tumor from its primary original tumor mass.Key to this multidisciplinary work is collaboration across divisions and departments. Within the research lab, knowledge about DIPG is expanding. Each member of the DIPG team – neurosurgery, neuro-oncology, immunology, genomics, proteomics – feeds insight back to the rest of the team, accelerating the pace of research discoveries being translated into clinical care. Among the challenges that the team will address in the coming months is outmaneuvering tumors that outsmart T-cells (immune cells). Children’s National is one of the few hospitals in the nation that conducts brainstem biopsies for DIPG and does so with very little chance of complications. The pons is like a superhighway through which nerves pass, making it instrumental in smooth operation of such vital functions as breathing, heart rate, sleeping, and consciousness. The ability of neurosurgeon Suresh Magge, MD, to perform such sensitive biopsies upends conventional wisdom that these procedures were inherently too dangerous. Within two weeks of diagnosis, genomics analyses are run to better understand the biology of that specific tumor. Within the following weeks, the tumor board occurs, and patients with DIPG are placed on therapy that best targets their tumor’s mutations. The black box that is diffuse intrinsic pontine glioma is beginning to divulge its genetic secrets. Despite an increasing number of experimental therapies tested via clinical trials, more than 95 percent of children with DIPG die within two years of diagnoses. Biomarkers that point to DIPG – like the copies of DNA that tumors shed and leave behind in the bloodstream – could enable creation of liquid biopsies, compared with today’s surgical approach. Children’s also is making a concerted effort to create preclinical models of DIPG. Preclinical models will be used to winnow the field of potential therapeutics to the candidates most likely to help children survive DIPG. The preclinical tumor cells will be labeled with luciferase – enzymes that, like photoproteins, produce bioluminescence – permitting the researcher to visually see the formation, progression, and response of DIPG tumors to treatment in preclinical settings. These preclinical models could be used to test multiple drug combinations in conjunction with radiation therapy. Molecular signatures and response to treatment could then be assessed to learn how the tumor resists therapy. Due to the obligate partnerships between driver mutations and secondary mutations, the research team already knows that effective DIPG medicines will need more than one target. If there were a single mutation, that would be like having a single master key to open many locks. Multiple mutations imply that more than one key will be needed. Thus, the search for cures for DIPG will necessitate taking a multi-pronged approach. Combined drug regimens, including those created with proprietary technology, with or without radiation, will be keys to targeting myriad mutations in order to kill tumors where they are. Those drug combinations that demonstrate they can do their jobs – slowing tumor growth, increasing chances of survival, taming toxicity – will be selected for clinical application. Immunotherapy leverages T-cells, the immune system’s most able fighters, to help in the overall goal of extending patients’ survival. One of the most challenging aspects of pediatric brain tumors is the body does a very good job of shielding the brain from potential pathogens. Precise drug delivery means finding innovative ways for therapeutics to cross the blood-brain barrier in order to reach the tumor. The team has identified one such potential target, the protein NG2, which may represent a good target for immune therapy. 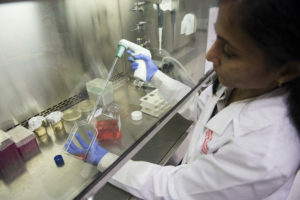 The protein is expressed in primitive cells that have not become specialized – meaning there may be an opportunity to intervene before it is driven to become a tumor cell. 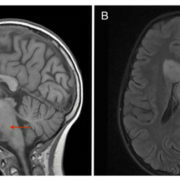 Despite multiple clinical trials testing an assortment of new treatments, the survival rate for diffuse intrinsic pontine glioma (DIPG) remains abysmal, with most children succumbing to the pediatric brainstem tumor within 12 months of diagnosis. Focal radiation therapy, the primary treatment approach, has not improved overall survival. While the majority of DIPG tumors grow within the brainstem, metastases can occur elsewhere in the brain. Due to recent availability of tissue, new data are emerging about the biologic behavior of tumors, details that could be instrumental in constructing optimal treatment strategies. An otherwise healthy 9-year-old girl developed weakness in the left side of her face; magnetic resonance imagining revealed T2/FLAIR hyperintensity centered within and expanding the pons. Despite various treatments, her pontine lesion increased in size and new metastases were noted. 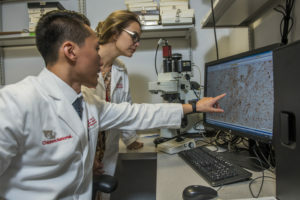 The team led by Children’s National Health System researchers is the first to report comprehensive phenotypic analyses comparing multiple sites in primary and distant tumors. 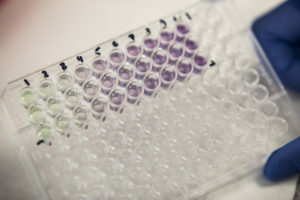 All tumor sites displayed positive staining for the H3K27M mutation, a mutation described in more than two-thirds of DIPGs that may portend a worse overall survival. Persistence of mutational status across multiple metastatic sites is particularly important since the effectiveness of some therapeutic approaches relies on this occurring. mRNA analyses, by contrast, identified a small number of genes in the primary tumor that differed from one metastatic tumor. This divergence implies that a single biopsy analysis for mRNA expression has the potential to be misleading. Q: Because a small cohort of genes in the girl’s primary tumor were different from genes in portions of the metastatic tumor, would genomic and proteomic analyses provide additional details about this genetic evolution? Q: How do site-specific differences in mRNA expression affect decisions about which therapies to provide and in which order? Source: “Histological and Molecular Analysis of a Progressive Diffuse Intrinsic Pontine Glioma and Synchronous Metastatic Lesions: A Case Report.” J. Nazarian, G.E. Mason, C.Y. Ho, E. Panditharatna, M. Kambhampati, L.G. Vezina, R.J. Packer, and E.I. Hwang. Published by Oncotarget on June 14, 2016. Needle biopsies help to guide diagnosis and targeted therapies for diffuse intrinsic pontine gliomas (DIPGs), which make up 10 percent to 15 percent of all pediatric brain tumors but carry a median survival of 9 to 12 months. This dismal survival rate compares with a 70 percent chance of children surviving other central nervous system tumors five years post diagnosis. In DIPG, tumors appear in the pons, an area of the brain that houses cranial nerve nuclei. Surgical options are limited. Spatial and temporal tumor heterogeneity is a major obstacle to accurate diagnosis and successful targeted therapy. The team sought to better define DIPG heterogeneity. They analyzed 134 specimens from nine patients and found that H3K27M mutations were ubiquitous in all 41 samples with oncogenic content, and always were associated with at least one partner driver mutation: TP53, PPM1D, ACVR1 or PIK3R1. These H3K27M mutations are the initial oncogenic event in DIPG, writes the research team led by Children’s National Health System. “Driver” mutations, such as H3K27M, are essential to begin and sustain tumor formation. This main driver partnership is maintained throughout the course of the disease, in all cells across the tumor, and as tumors spread throughout the brain. Because homogeneity for main driver mutations persists for the duration of illness, efforts to cure DIPG should be directed at the oncohistone partnership, the authors write. Based on early tumor spread, efforts to cure DIPG should aim for early systemic tumor control, rather focused exclusively on the pons. Q: If a larger sample size were analyzed, what would it reveal about the true heterogeneity/homogeneity status of DIPGs? Q: “Accessory” driver mutations are not absolutely essential but do help to further promote and accelerate tumor growth. What is their precise role? Source: “Spatial and Temporal Homogeneity of Driver Mutations in Diffuse Intrinsic Pontine Glioma.” H. Nikbakht, E. Panditharatna, L.G. Mikael, R. Li, T. Gayden, M. Osmond, C.Y. Ho, M. Kambhampati, E.I. Hwang, D. Faury, A. Siu, S. Papillon-Cavanagh, D. Bechet, K.L. Ligon, B. Ellezam, W.J. Ingram, C. Stinson, A.S. Moore, K.E. Warren, J. Karamchandani, R.J. Packer, N. Jabado, J. Majewski, and J. Nazarian. Published by Nature Communications on April 6, 2016. Neuron glia antigen-2 (NG2) is a protein expressed by many central nervous system cells during development and differentiation. NG2-expressing oligodendrocyte progenitor cells have been identified as the cells of origin in gliomas, tumors that arise from the brain’s gluey supportive tissue. What’s more, NG2 expression also has been associated with childhood diffuse intrinsic pontine glioma (DIPG) an aggressive tumor that accounts for 10 percent to 20 percent of pediatric central nervous system (CNS) tumors. Radiation can prolong survival by a few months, but children diagnosed with DIPG typically survive less than one year. Q: Because healthy oligodendrocyte progenitor cells are important for the child’s developing brain, how could further characterization of NG2 isoforms help prevent drugs from damaging those beneficial cells? Q: Could NG2-binding peptides cross the blood-brain barrier to deliver anti-cancer therapies precisely to tumor sites? Source: “The Role of NG2 Proteoglycan in Glioma.” S. Yadavilli, E.I. Hwang, R. J. Packer, and J. Nazarian. Published by Translational Oncology on February 2016. Fewer than 150 U.S. children per year are diagnosed with diffuse intrinsic pontine glioma (DIPG), one of the most lethal pediatric central nervous system cancers. Despite an increasing number of experimental therapies tested via clinical trials, more than 95 percent of these children die within two years of diagnosis. Molecular studies have yielded additional insight about DIPG, including that mutations in histone-encoding genes are associated with 70 percent of cases. Understanding mutations that drive tumors and the genomic landscape can help to guide development of targeted therapies. Source: “Clinicopathology of Diffuse Intrinsic Pontine Glioma and Its Redefined Genomic and Epigenomic Landscape.” E. Panditharatna, K. Yaeger, L.B. Kilburn, R.J. Packer, and J. Nazarian. 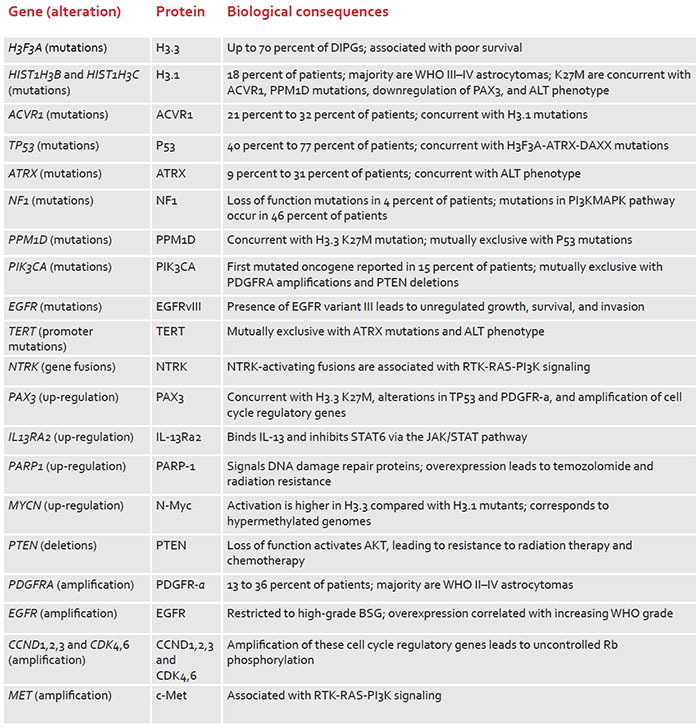 Published by Cancer Genetics on May 1, 2015.